Gov. 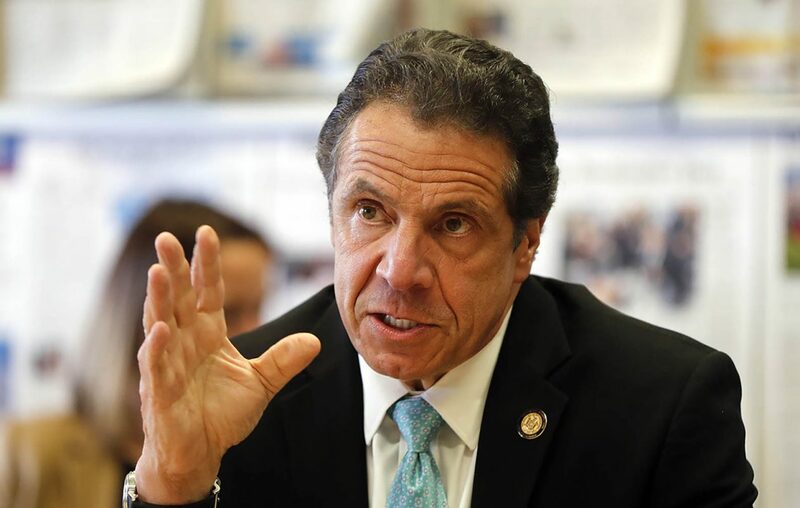 Andrew M. Cuomo said Wednesday his office is researching the legality of legislation that would eliminate the religious exemption that allows people to opt out of vaccinations for measles and other diseases. In the wake of an outbreak of measles in the lower Hudson Valley and New York City, state legislators have filed a bill that would repeal the exemption for vaccinations due to religious beliefs. The vaccinations for several diseases, including measles, are required for children to enter school. According to Rockland County, 82 percent of the 173 confirmed cases of measles there have occurred in people who have not been vaccinated. "It's going to be a legal question, it's going to be a constitutional question. It's going to be freedom of religion, it's going to be First Amendment," Cuomo said in a meeting with Buffalo News editors and reporters. "We're looking at it now, but it's going to be a pure legal question." He said if legislation is passed and he signs it, he would have to believe that it is constitutional and that the state can defend any challenges in court. "It's less of a public health question to me, it's more of a legal, constitutional question," he said.